Zombie deer have made recent headlines as a disease has spread into 24 states. The deer aren’t coming back from the dead, but have a disease called Chronic Wasting Disease (CWD). 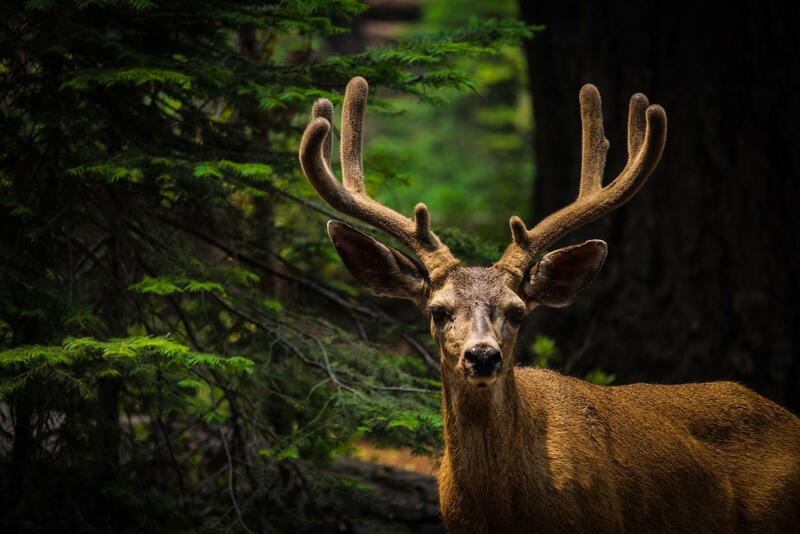 CWD slowly deteriorates animals’ brains over time, and it is proven fatal. Deer infected rapidly lose weight, lose their coordination, slobber, become aggressive, and hold their heads lower with their ears drooping. As of now, no humans have contracted CWD. In a meeting with Minnesota lawmakers on February 7, Michael Osterholm, director of the Center for Infectious Disease Research and Policy at University of Minnesota, warned that we can’t rule out the possibility that we won’t see those cases in the future. Scientists are concerned because CWD belongs to a class of diseases known as “transmissible spongiform encephalopathies” (TSEs), or prion diseases. Normally, proteins in the brain are programmed to fold themselves into standard patterns. In these deer, the proteins in their brains are misfolded, which causes the dangerous and deadly effects of CWD. These proteins are misfolded because of the presence of other proteins in the brain called prions which can cause otherwise healthy proteins to fold incorrectly. Trevor Ames, dean of the University of Minnesota’s College of Veterinary Medicine, noted that CWD-causing prions have been found in the saliva, urine, and feces of infected deer; more importantly, they’re also present in their organs and muscle tissue — the parts that people might eat. Citing the Alliance for Public Wildlife’s 2017 report, Osterholm noted that humans eat between 7,000 and 15,000 deer with the CWD infection each year, putting them at risk for developing a similar disease. The centers of disease control and prevention don’t know if this disease can infect humans. There is some experimental evidence that has shown evidence of CWD prion transmission to primates and human cell lines which raises concern. There are still many unanswered questions about zombie deer disease. For now, with the history and research of prion diseases, the CDC warns people to steer clear of deer meat from infected animals.